#1. Sprinting ability is athlete-specific and genetic – what he or she is able to put out for a defined short burst. Some are very good sprinters and can generate very high absolute wattage numbers repeatedly, while others can not. Someone might be chugging along comfortably at 150%FTP for more than 30 seconds (considered a long sprint), while others struggle to maintain a high overall wattage for more than 10 seconds (they spike as well as anybody, but fail to hold the 150% beyond the first few seconds). But like all things, you can train and change the composition of your fast-twitch/slow-twitch muscles over time. This takes significant investment in time though. #2. Most people, even untrained individuals, are capable of producing sprint power well over 300%; they – or more specifically, their brains – just don’t know it yet! Strengthening the neuro-muscular pathways between the brain and the working muscles with regular sprints is like laying a thicker cable (better conduction, less resistance) connecting an electric appliance to a power supply. Electrical signals flow better and muscle recruitment goes up, and this is one of the first things to improve when an individual embarks on a regular sprint training regime. This is the neuro-muscular power defined by Coggan. #3. Modern sports science shows that all athletes benefit from sprint training – it’s not just the guys who are doing short and hard events or the ‘sprinters’ at the head of the peloton right at the finish. To build speed over the long haul, speed work must first take place over the (very) short haul. Turning old-school base-training guidelines on their heads, sprint training early in a training regime encourage muscular recruitment and efficiency gains so that when higher mileages present themselves later on, the body will be comfortable firing at its best capacity. Sprints go hand in hand with strength building too, something that long-distance endurance athletes tend to neglect despite heaps endurance conditioning. #4. Sprints are the real deal. 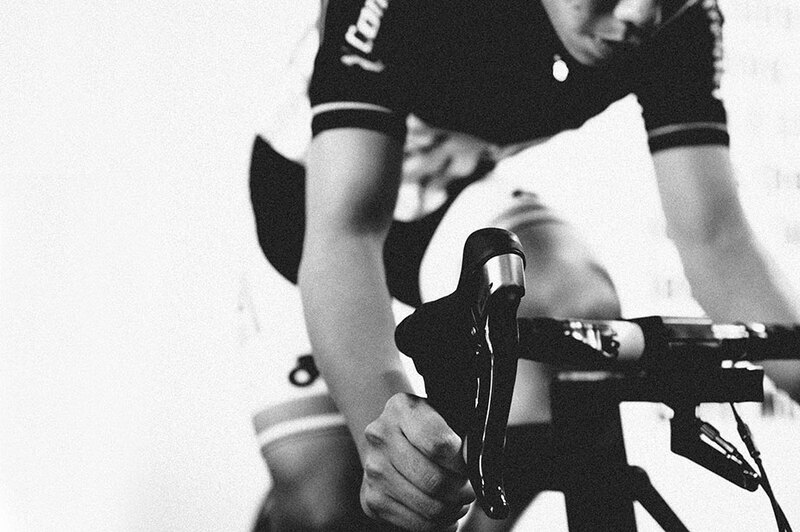 In Athlete Lab on our adjustabikes, we love to put sprints not only as standalone efforts, but off the back of steady state or race-pace efforts. This mimics the stress of racing especially for those keen on acing criterium-style events, for mountain bikers on very technical courses, for anyone lucky enough to be able to race track bikes on a velodrome, or really… anyone on a decent-paced ride where being able to pull out a good burst of speed under fatigue is critical to keeping safe, keeping up… or earning some kudos, whether informal or in-competition. Get some sprinting into your regime. It is part of building a better all-round cyclist. Ironman Kona 2014 Protein: How Much Is Too Much?